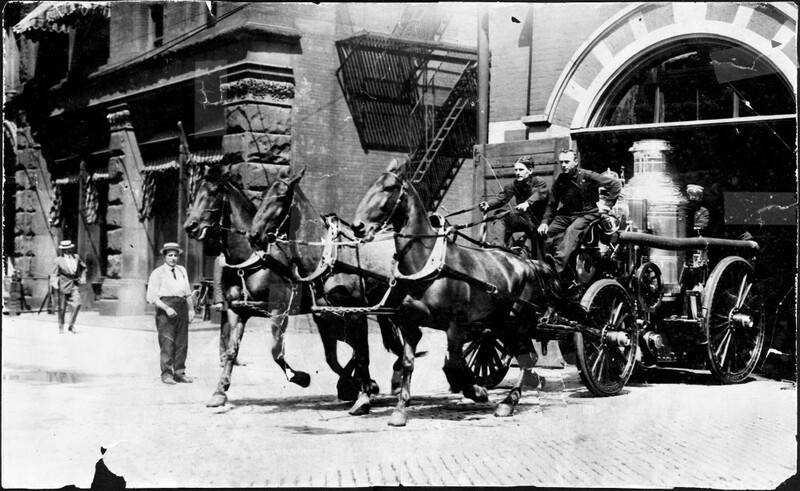 Description: Horse drawn rig leaving firehouse E3-1. Description: Circa 1910. 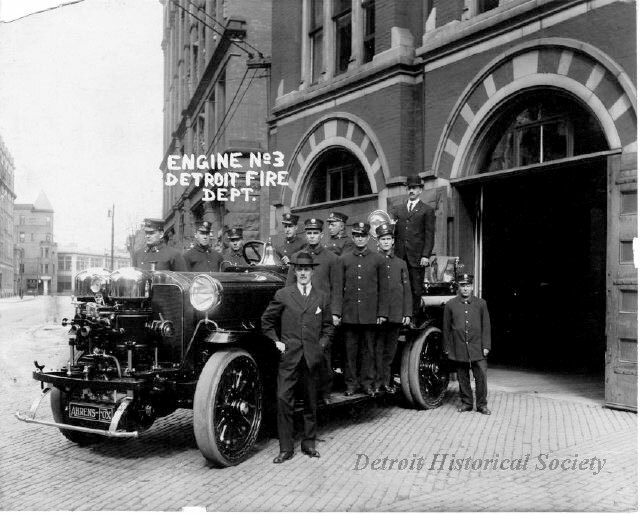 Engine #3, first motorized apparatus. Shown in front of E3-1. 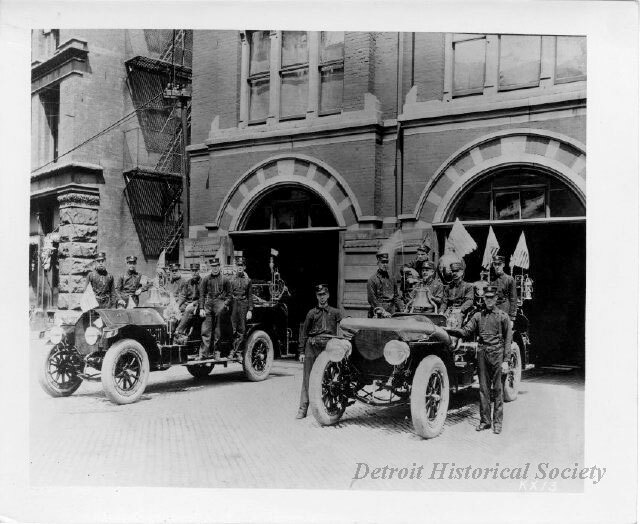 Description: c.1913; Engine 3, Clifford & Griswold; 1912 Ahrens-Fox Piston Pumper.